Thank you thank you thank you to all the participants of our terrarium workshops! We’ve had so much fun working with you we’ve set workshops for the rest of the year. Our workshops take place at the store on Wednesday nights at 6:30 after we close. Unlike the terrarium workshops where the price only included the instruction and basic supplies, the prices now include instruction and all materials to create the item of the month and we provide all tools required. Wednesday November 25th: December we can start decorating. Seriously, throw those pine boughs EVERYWHERE. Like into a lovely urn or two! We’ll teach you how to make an urn insert for your outdoor container with all the winter greens you can handle. We’ll even have some berries and pine cones and maybe if you’re good something with sparkles! If you don’t have an outdoor urn it’s never too early to get one. Right now we have 20% off all large containers in the store. Bring it home today and come December fill it with holiday cheer! 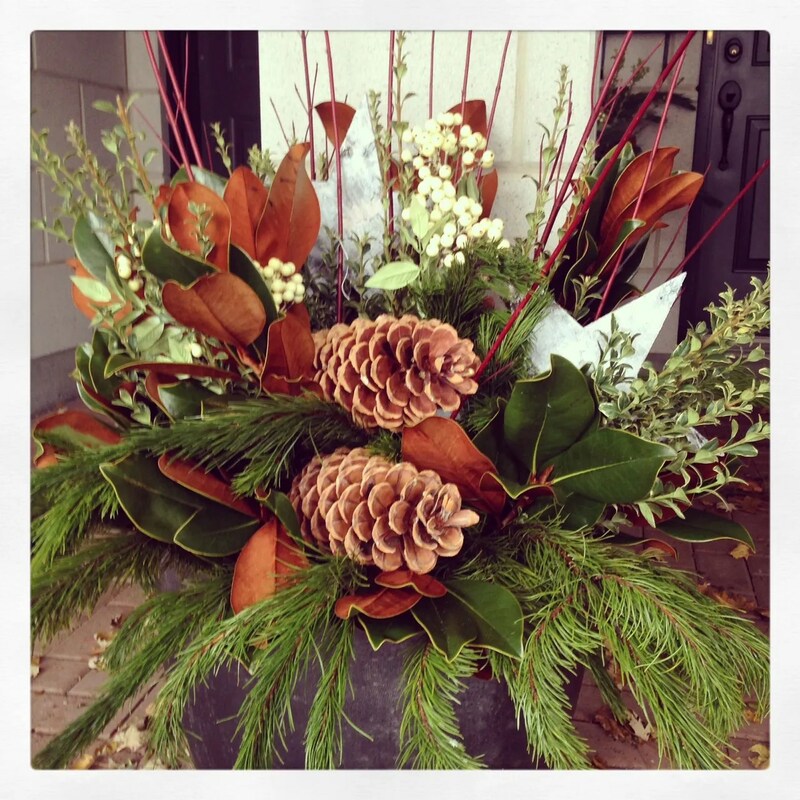 The fee for the workshop will be $100 and will include all materials for an insert for a 10”-24” opening container with an assortment of winter greens and various accents. Materials for an additional insert will be $75 each and additional decorations will be available for purchase if you wish to further personalize your creations. Call the store to book your spots today!